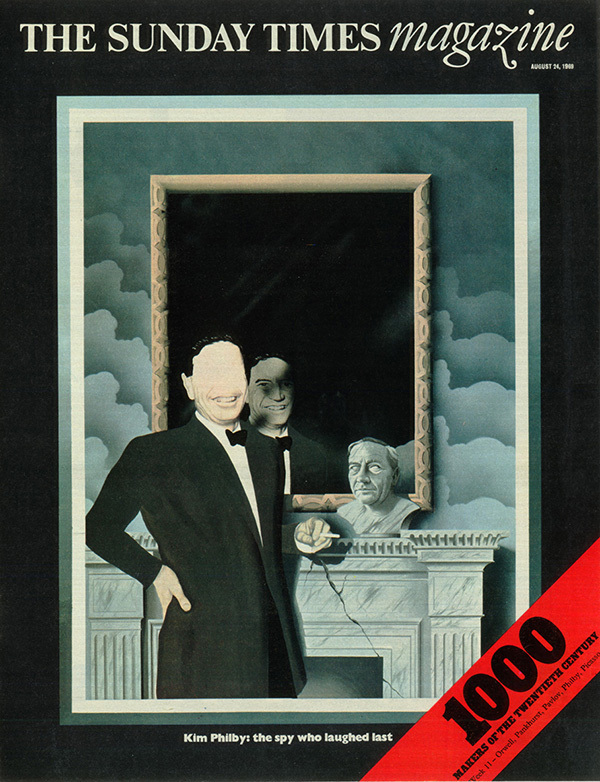 ‘1000 Makers of the Twentieth Century’. A portrait of the Russian spy Kim Philby who was also head of the English secret service. I used a Reuters Agency photo as reference. The reverse of the photograph had the caption ‘The Spy Who Laughed Last’ in reference to Philby’s successful escape to Moscow. I thought the confident pose of this establishment figure masked the truth perfectly.